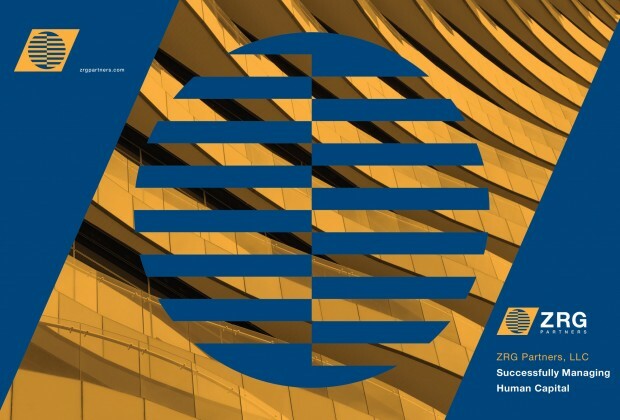 ZRG Partners—a fast-growing global executive search firm—partnered with Backbone Media to modernize their Corporate Brand Identity. The process started with a core branding workshop to uncover ZRG Partners’ core values and core message that clearly states why the company is unique in the executive search marketplace. 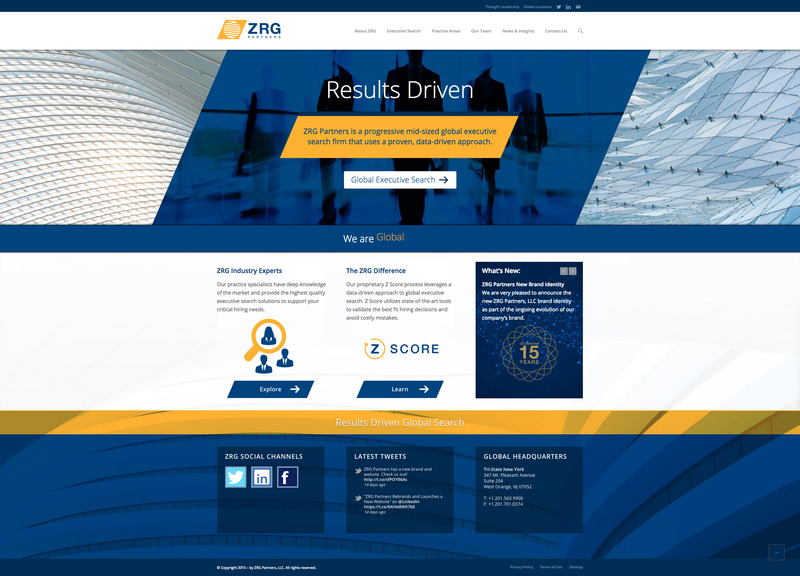 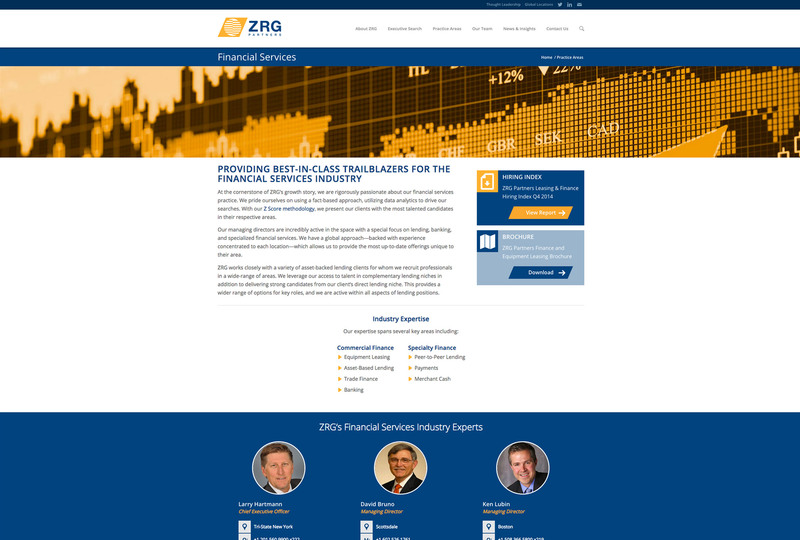 ZRG’s rebranding included the creation of a new corporate logo, new color palette, new marketing collateral, and a complete redesign and development overhaul of their existing WordPress website.